Haven’t been taking Google+ seriously yet? Well, it’s officially time to change your mind. 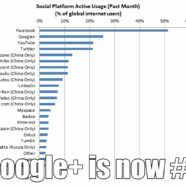 According to the GlobalWebIndex, Google Plus is now the second most popular social networking service in the world, trailing only Facebook, and already surpassing both Twitter and YouTube in terms of how many active users there are on a monthly basis. 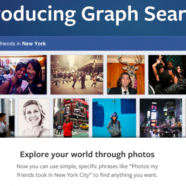 Facebook’s big announcement came today in the form of its “third pillar”, Graph Search. While the examples used to describe the new Facebook Graph Search function were mainly on a personal level – interactions between and involving friends – it’s worth examining how this will affect your small business social media plan. Our Washington DC SEO website is new… but we’re not! 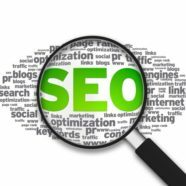 Welcome to the brand new Washington DC SEO .net website, your leading provider of affordable small business SEO services for local companies and organizations throughout the D.C. metro area, including Maryland, Virginia and the District itself. One of the major challenges of opening a new website is not only getting traffic to that site, but convincing prospective customers and clients that you’re worthy of their investment, and that you’ll help them reach their goals. It’s the same for us, too.